If you trace the lineage of the latest Porsche 911 almost all the way to its origins, you'll get to this, the Porsche 356. Just don't go back to far, or you'll hit the VW Beetle. For a car that started life as a Beetle, it sure has come a long way over the years. On top of that, the 356 might just be one of the most influential cars of all time. Think about it. 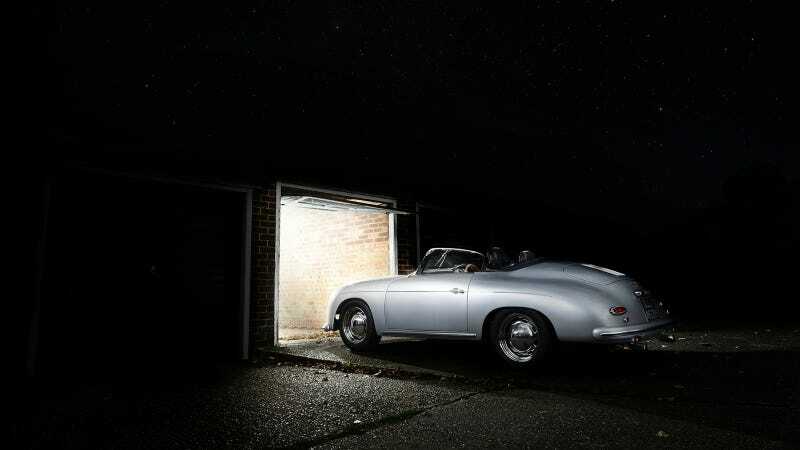 Without the 356, Porsche wouldn't exist as we know it today. That could be good or bad, depending on your viewpoint. This image is another from GF Williams, and we think it captures the car perfectly.